Accessories to brighten up any outfit! 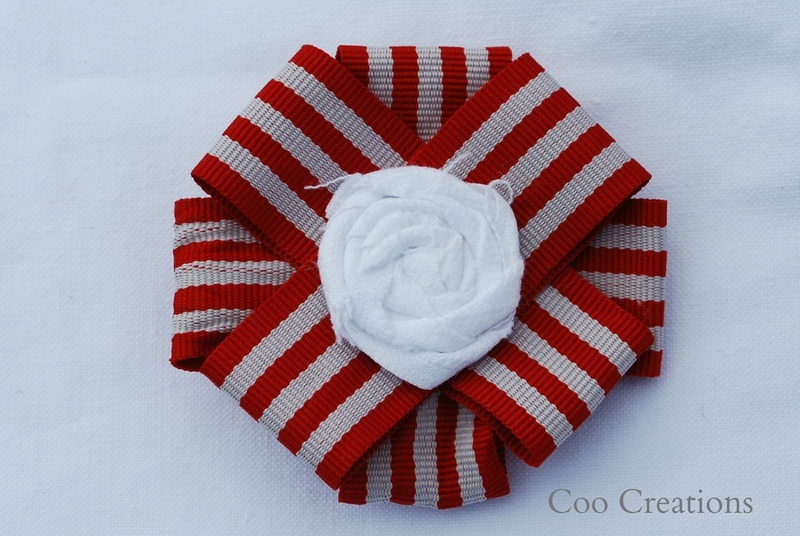 Grosgrain ribbon layered with a rosette. 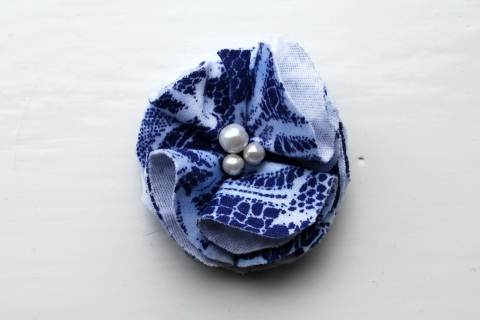 Blue and white lace pattern jersey material corsage with pearl beads in centre.